Here are five things you must know about this much-deserved, full-fledged celebration of all things music. The first World Music Day was celebrated in the year 1982, in Paris. The day is also popularly referred to as Fete de la Musique, French for Make Music Day or World Music Day. 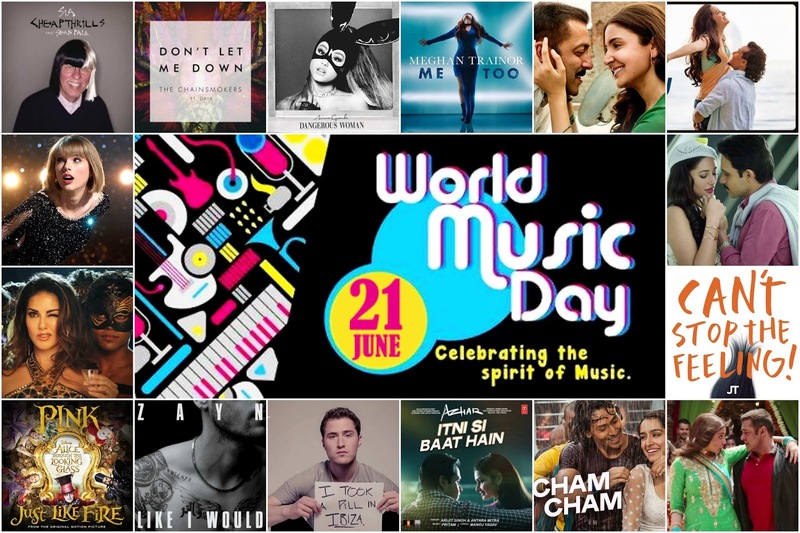 World Music Day is the brainchild of former French minister of culture, Jack Lang, who wanted to encourage more people to take up music seriously and professionally. Over 700 cities across 120 countries, including Germany, Italy, Greece, Russia, Australia, Peru, Brazil, Ecuador, Mexico, Canada, the United States, and Japan celebrate World Music Day today. Unlike other music festivals, the World Music Day allows any and every one to showcase their musical prowess. We've the collection of best 10 songs for this World Music Day. Listen here.